Liquid H2O is the sine qua non of life. Making up about 66 percent of the human body, water runs through the blood, inhabits the cells, and lurks in the spaces between. At every moment water escapes the body through sweat, urination, defecation or exhaled breath, among other routes. Replacing these lost stores is essential but rehydration can be Liquid H2O is the sine qua non of life. Making up about 66 percent of the human body, water runs through the blood, inhabits the cells, and lurks in the spaces between. At every moment water escapes the body through sweat, urination, defecation or exhaled breath, among other routes. Replacing these lost stores is essential but rehydration can be overdone. There is such a thing as a fatal water overdose. Earlier this year, a 28-year-old California woman died after competing in a radio station's on-air water-drinking contest. 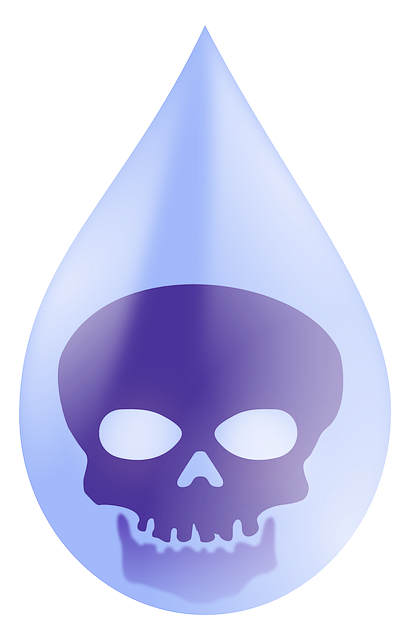 After downing some six liters of water in three hours in the "Hold Your Wee for a Wii" (Nintendo game console) contest, Jennifer Strange vomited, went home with a splitting headache, and died from so-called water intoxication. There are many other tragic examples of death by water. In 2005 a fraternity hazing at California State University, Chico, left a 21-year-old man dead after he was forced to drink excessive amounts of water between rounds of push-ups in a cold basement. Club-goers taking MDMA ("ecstasy") have died after consuming copious amounts of water trying to rehydrate following long nights of dancing and sweating. Going overboard in attempts to rehydrate is also common among endurance athletes. A 2005 study in the New England Journal of Medicine found that close to one sixth of marathon runners develop some degree of hyponatremia, or dilution of the blood caused by drinking too much water. Most cells have room to stretch because they are embedded in flexible tissues such as fat and muscle, but this is not the case for neurons. Brain cells are tightly packaged inside a rigid boney cage, the skull, and they have to share this space with blood and cerebrospinal fluid, explains Wolfgang Liedtke, a clinical neuroscientist at Duke University Medical Center. "Inside the skull there is almost zero room to expand and swell," he says. Thus, brain edema, or swelling, can be disastrous. "Rapid and severe hyponatremia causes entry of water into brain cells leading to brain swelling, which manifests as seizures, coma, respiratory arrest, brain stem herniation and death," explains M. Amin Arnaout, chief of nephrology at Massachusetts General Hospital and Harvard Medical School. Where did people get the idea that guzzling enormous quantities of water is healthful? A few years ago Heinz Valtin, a kidney specialist from Dartmouth Medical School, decided to determine if the common advice to drink eight, eight-ounce glasses of water per day could hold up to scientific scrutiny. After scouring the peer-reviewed literature, Valtin concluded that no scientific studies support the "eight x eight" dictum (for healthy adults living in temperate climates and doing mild exercise). In fact, drinking this much or more "could be harmful, both in precipitating potentially dangerous hyponatremia and exposure to pollutants, and also in making many people feel guilty for not drinking enough," he wrote in his 2002 review for theAmerican Journal of Physiology—Regulatory, Integrative and Comparative Physiology. And since he published his findings, Valtin says, "not a single scientific report published in a peer-reviewed publication has proven the contrary." Most cases of water poisoning do not result from simply drinking too much water, says Joseph Verbalis, chairman of medicine at Georgetown University Medical Center. It is usually a combination of excessive fluid intake and increased secretion of vasopression (also called antidiuretic hormone), he explains. Produced by the hypothalamus and secreted into the bloodstream by the posterior pituitary gland, vasopressin instructs the kidneys to conserve water. Its secretion increases in periods of physical stress—during a marathon, for example—and may cause the body to conserve water even if a person is drinking excessive quantities. Every hour, a healthy kidney at rest can excrete 800 to 1,000 milliliters, or 0.21 to 0.26 gallon, of water and therefore a person can drink water at a rate of 800 to 1,000 milliliters per hour without experiencing a net gain in water, Verbalis explains. If that same person is running a marathon, however, the stress of the situation will increase vasopressin levels, reducing the kidney's excretion capacity to as low as 100 milliliters per hour. Drinking 800 to 1,000 milliliters of water per hour under these conditions can potentially lead a net gain in water, even with considerable sweating, he says. While exercising, "you should balance what you're drinking with what you're sweating," and that includes sports drinks, which can also cause hyponatremia when consumed in excess, Verbalis advises. "If you're sweating 500 milliliters per hour, that is what you should be drinking." But measuring sweat output is not easy. How can a marathon runner, or any person, determine how much water to consume? As long as you are healthy and equipped with a thirst barometer unimpaired by old age or mind-altering drugs, follow Verbalis's advice, "drink to your thirst. It's the best indicator.". There is such a thing as a fatal water overdose. But measuring sweat output is not easy. How can a marathon runner, or any person, determine how much water to consume? As long as you are healthy and equipped with a thirst barometer unimpaired by old age or mind-altering drugs, follow Verbalis's advice, "drink to your thirst. It's the best indicator."